Being an Afghan woman on Facebook - sister-hood magazine. A Fuuse production by Deeyah Khan. 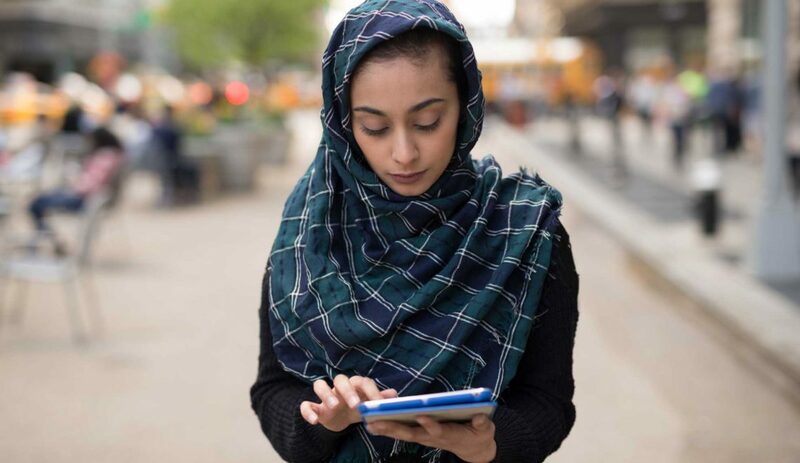 It has become so easy for people to have access to social media that even in Afghanistan you often see youth buying mobile phones to be connected to the virtual world. Social media, especially Facebook, has given people the ability to share their thoughts, dreams and interests with the world and has opened a new door to information to many, but being a woman on Facebook is not without its problems. In the real world of Afghanistan people struggle with poverty, ethnic discrimination, lack of employment, suicide attacks and many other problems on a daily basis, but in addition to all these grave issues, women also have the burden of misogyny and spend much of their time fighting back. Many women face inequality and violence at home, but even those who do not are faced with a tide of gender discrimination the moment they leave their homes. Every time I leave home, I feel like a soldier, prepared to defend my life because I am a woman. I have learned to ignore nasty comments, looks and cars honking in my direction. I have learned to be quiet and move past because I know I will be blamed should I dare to say a word back. Even at work, I have been forced to sufficing to smirking at my male colleague’s transgressing words. As if the real world does not burden me with enough soldiering duties, I now have to also breathe carefully online. First of all, in order to conceal my identity and not receive threats for speaking my mind, I have to use a photo that is not of myself, but this is just one of the many ways in which Afghan women silenced and censored online. Often if women dare to speak about social or political issues, they will receive backlash that leaves them regretting having opinions. Even those who claim to be open-minded and keep their Facebook pages crowded with quote from Che Guevara and Gandhi, have the audacity to call women names you would only hear in the streets. Others show women the way to the kitchen and write: what do women have to say about politics? The treatment of Afghan women on social media leaves one hopeless about a society where the minority who is educated and quick to quote beautiful quotes immediately regresses to a patriarchal notion that does not see women worthy of having opinion and abuses any tool, including religion, to silence them. Within minutes, they change from being progressive poets and writers, to the most conservative teachers of Islam and claim that anyone who disagrees with their interpretation of the religion is an infidel worthy of punishment, even if the accused is of better character than themselves. If they are not able to debate, they often proclaim that real Muslim women have no business being on Facebook. It is incredible then that in this country, some men claim that women and their human rights are respected. I urge them to read Facebook comments about women. If our educated youth write about women with such ignorance and obscenity, what is to be expected of the general population? I am humbled and inspired that despite all this, the women of Afghanistan continue to write their opinions, speak up, debate, and exist publicly. Without doubt, we are the ones pushing this country forward. I am proud to say: I am a woman. I have independent thoughts and opinions and I will not refrain from speaking them. Unlike many men, I will not use obscenities or threats to silence those I disagree with. I will use logic and decency to fight discrimination. I will continue to ignore anyone who tells me I am less than and I will prove my worth as a human being and my human identity.